If You Don't Like the Idea of Google Driving Your Car, Maybe You'll Trust IBM? IBM’s Watson can make drinks, detect sarcasm, and beat you at game shows. The world’s most famous computer already acts so much more like a human than most people I know. Now transportation startup Local Motors is putting Watson behind the wheel. 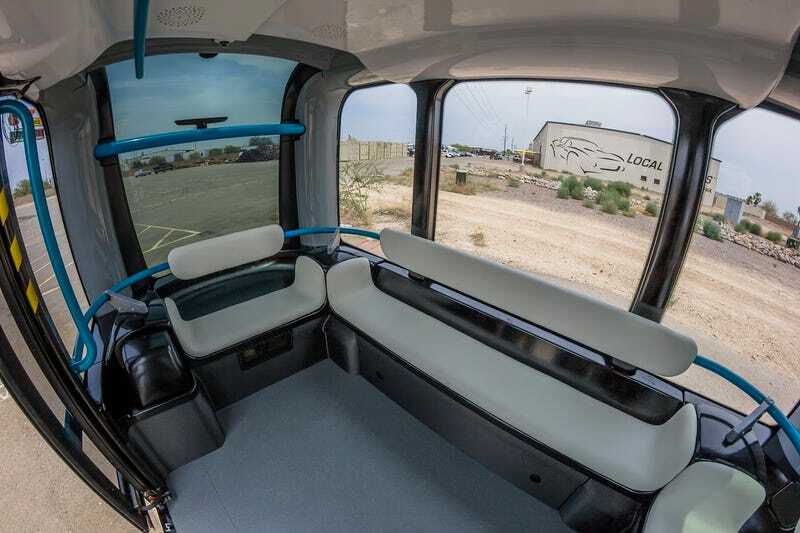 Olli is a new autonomous electric minibus powered by IBM’s famously friendly AI. 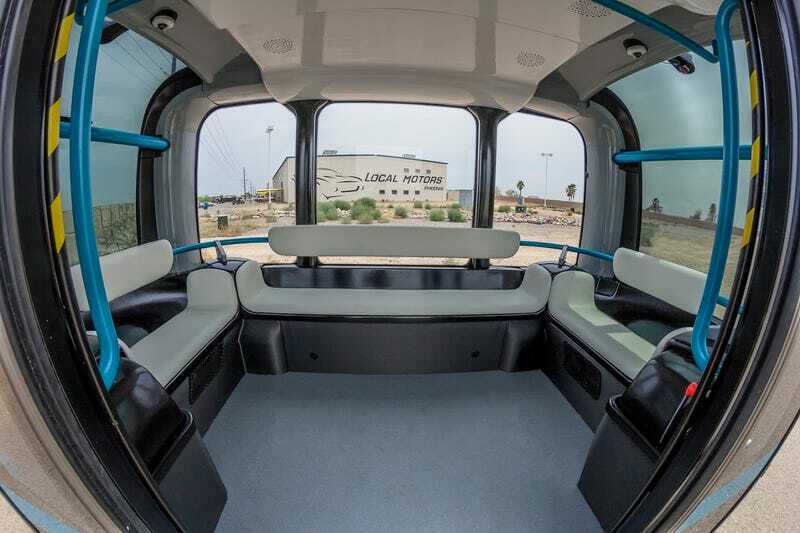 The 12-passenger vehicle is manufactured in the US, using 3D-printing facilities at Local Motors’ plant in Arizona. Local Motors is known not only for its manufacturing innovation but also for integrating AI into its vehicles, and has previously worked with IBM and Intel on a project called the Rally Fighter. How passengers will communicate with a self-driving car — especially one that has no steering wheel — is actually one of the biggest concerns for people riding in autonomous vehicles. This is also something that Google hasn’t really addressed, at least publicly. It’s a good idea to get passengers used to the idea of talking to their car and trusting it to take them where they want to go, and it’s made even better with Watson’s reassuringly familiar voice. This concept should help the public get more comfortable with self-driving technology in general.